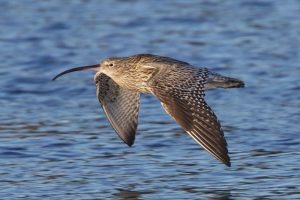 Curlew are a feature of the bay almost all year round, although numbers drop off in early summer as birds move inland to breed on the moors. 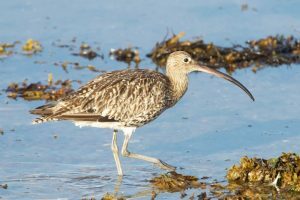 Nationally, there is considerable concern for the status of this bird and it is now red-listed, but at Findhorn numbers seem to be holding up quite well. From July through to early March there are usually around 300-500 on the bay every day. Numbers will fluctuate slightly as some will move to and from the Nairn and Culbin Bars nearby. At low tide the Curlew will be spread out widely across the sands on the bay. However as the tide rises the birds get moved south across the bay and end up concentrated together on the edge of the bay. The largest and most important roost is on the south east corner of the bay near Kinloss, which is one of the last areas of sand to get flooded. Care should be taken not to disturb this roost. 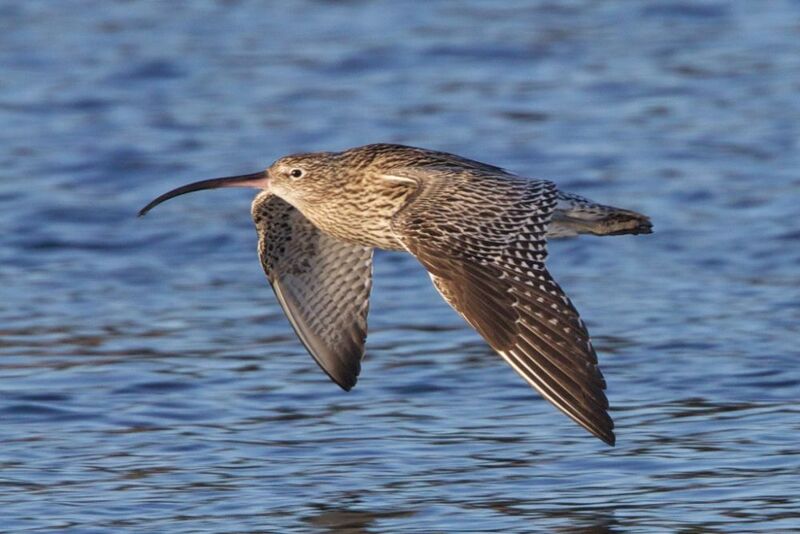 Unlike some waders the plumage on a Curlew does not change much year round. It remains fairly uniformly streaked brown with no particular distinguishing features. It can quite easily be confused at a distance with Whimbrel. These are much less common and are only seen in small numbers early and late summer, often in passage. 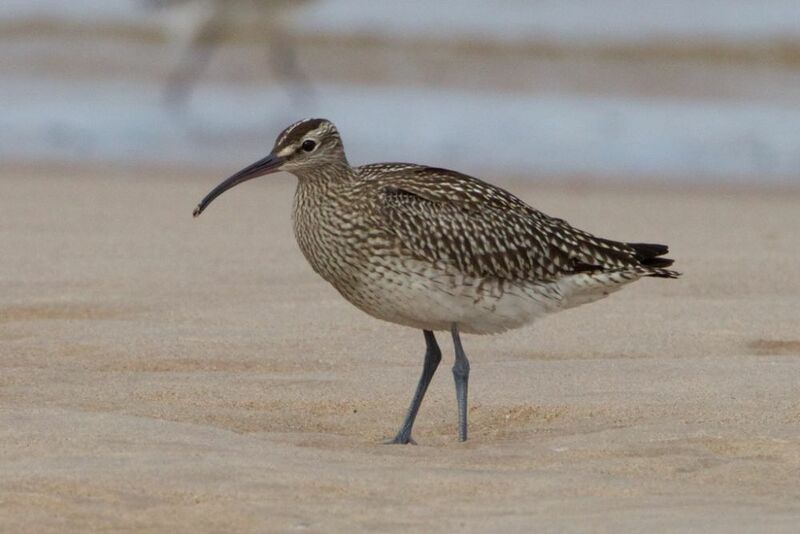 The Whimbrel is smaller and has a distinctive eyestripe as well as a different shaped bill.